The Caribbeans have named their 13-man squad only for the first two ODIs against India. Windies played a 3 match ODI series against Afghanistan earlier in June which resulted in a draw (1-1) with the last match being washed out and now the Carribeans will be playing with same 13-man squad against India for the first two ODIs in the five match series. West Indies pacer, Shannon Gabriel got injured during the series against Afghanistan and he is not a part of the squad against India. Miguel Cummins was named as a replacement for Shannon Gabriel. West Indies are ranked 9th in the ICC ODI Team Rankings which makes it difficult for them to qualify for the world cup in 2019 as only the top eight have guaranteed qualification. The Afghanistan series didn't quite help the Caribbeans, so the series against the Men in Blue is a must win for them. West Indies and India will be playing the first ODI on 23rd June at Queen's Park Oval in Trinidad and Tobago. 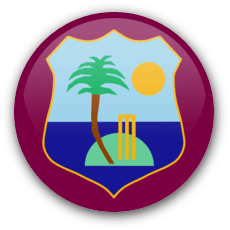 Jason Holder (captain), Devendra Bishoo, Jonathan Carter, Roston Chase, Miguel Cummins, Shai Hope (wk), Alzarri Joseph, Evin Lewis, Jason Mohammad, Ashley Nurse, Kieran Powell, Rovman Powell, Kesrick Williams.